Incorporate the Everlast Fitness Trampoline into your workout regimen and enjoy how it adds a new level of interest and intensity! This trampoline is carefully constructed and can hold up to 200 pounds. Compact and easy storage make it perfect for any home gym or office. - 38" JUMPING SURFACE: The Everlast Fitness Trampoline features a 38" diameter surface to improve cardiovascular fitness, muscle strength and aid in weight loss. - JUMPING MAT: The durable polypropylene jumping mat is very robust and provides excellent elasticity for superior rebounding. - HIGH INTENSITY V-SPRINGS: Constructed with 30 premium high tension dual-springs made of 3.2 mm gauge steel for maximum bounce. - CUSHIONED SPRING PAD: The fitness trampoline's springs and frame are fully covered with a UV-resistanct, PVC, full coverage protective foam pad to help provide comfort and protection. 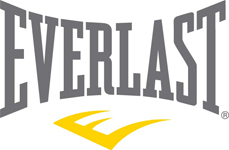 The preeminent brand in boxing since 1910, Everlast is a global leader in the design and manufacturing of fitness related sporting goods equipment including cycles, treadmills and elliptical machines.